Bacon is Good For You – especially with Chiro One at the Fest! Baconfest Chicago involves lots of walking while sampling bacon delicacies from many amazing chefs and restaurants. At some point, you might need to take a bacon breather and kick back a little. 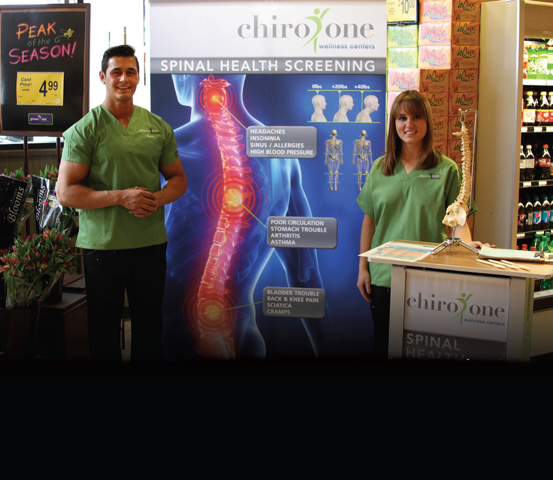 Be sure to stop and visit Chiro One Wellness! Their health practitioners will be set up to offer Baconfest-goers free health and wellness screenings as a restful break from all that bacon! Thanks to Chiro One Wellness Centers for helping Bacon Nation relax and decompress! Visit them at any one of their numerous locations in the Chicagoland area. The chiropractors at our Chiro One Wellness Centers throughout the Chicago area believe that everyone can achieve lives of extraordinary wellness. Through world-class service and our chiropractors’ expertise, we share the powerful preventative and proactive possibilities of ongoing chiropractic care with our patients and communities. With numerous locations in the Chicago, Illinois area, and more offices planned, Chiro One is the world’s leading provider of chiropractic services. Our recent awards include being named #17 on Modern Healthcare’s list of “Healthcare’s Hottest”, a #14 ranking on the 2013 Crain’s Chicago Business’ Fast Fifty List of Fastest Growing Chicago Companies, a 2012 Inc. Hire Power Award and Inc. 5000 Awards in 2011, 2012 and 2013. Additionally, our Chief Executive Officer, Dr. Stuart Bernsen, D.C., was named winner of the Ernst & Young Entrepreneur Of The Year® 2013 Midwest Award for Healthcare. ←Rosé (Cider) All Day – Virtue Cider is Back!